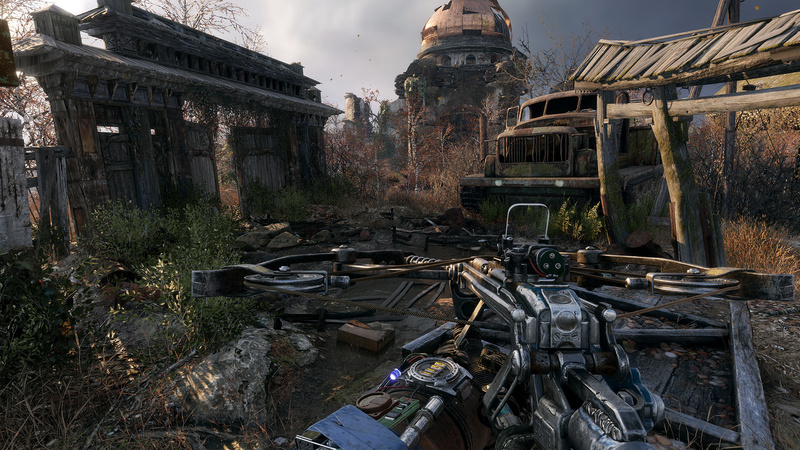 For a franchise named after Russia’s subway system, Metro Exodus certainly seems big. 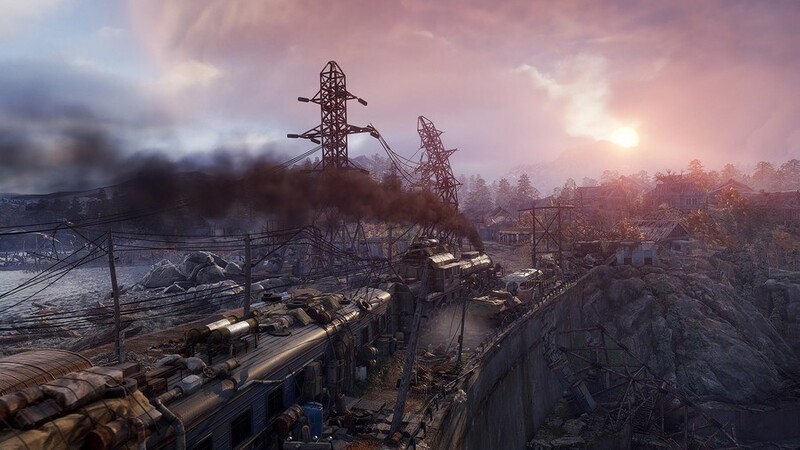 The sequel to the PlayStation 3’s Metro: Last Light hints at its scale as we pull up its in-game map; we’re located in the bottom-left of the survival sandbox, but there’s clearly miles of apocalyptic landscape to explore here. It’s just a shame the part that we’re in happens to be so hostile. 4A Games has really upped its ambition here, promising to tell a tale twice the size of the Metro Redux compilation combined across a full in-game year. While our demo is limited, we noticed the watch on the wrist of our hero ticking towards the evening; a full day-and-night cycle means that you’ll have to deal with different problems depending upon the position of the sun. With the story unfolding over 12 months, the seasons factor into the art design, and we’re ushered into an enemy encampment in the middle of a small forest, with red autumn trees and fallen leaves giving the whole area a rusty feel. It’s clear that there’s been some funny business, too, as there are rotting bodies pinned to the walls with crossbow bolts. At least the ammo’s useful, eh? After following a swampy path, it’s not long before we’re face to face with masked pyromaniacs, who don’t appear all too keen on our presence nearby. While we didn’t get to see much of it, crafting and scavenging are key components of this campaign, and even in our short hands on it’s evident that this is very much an experience about “making do” with what you have. So we decide to enter the enclosure in stealth, using our handful of crossbow bolts to pick off our prey. The shooting feels much more satisfying than previous instalments, with enemies falling quickly, lending a deadly feel to encounters. Of course, this short time to kill also gives you a distinct sense of fragility, and you’re going to need to rely on medical kits should you get hit. With most of our adversaries downed, we switch to a kind of makeshift musket, but we don’t need to use up any precious shells as our cowardly combatants raise their hands and beg for mercy. It’s a nice touch which demonstrates that you’ve managed to get the upper-hand, and you have the option to either kill them or simply knock them out. We’re hoping that choosing the latter has consequences. Unfortunately, this is a game that demands much more playtime to truly appreciate. The crafting system and the complexity of the world are difficult to critique in a short session, and while the visuals are impressive and densely detailed, we’d like to see how populated other parts of the world are – and how it evolves as the seasons change and the in-game months tick by. Make no mistake, though, this is an ambitious evolution of the Metro formula, and the shooting feels stronger than it ever has. With great stealth and the promise of near-limitless customisation, we like the idea of being lost out in the Russian wilderness, with only our wits and limited supplies to see us through. Promising stuff. Will you be stepping out of the subway and into the not-so-idyllic Russian scenery? 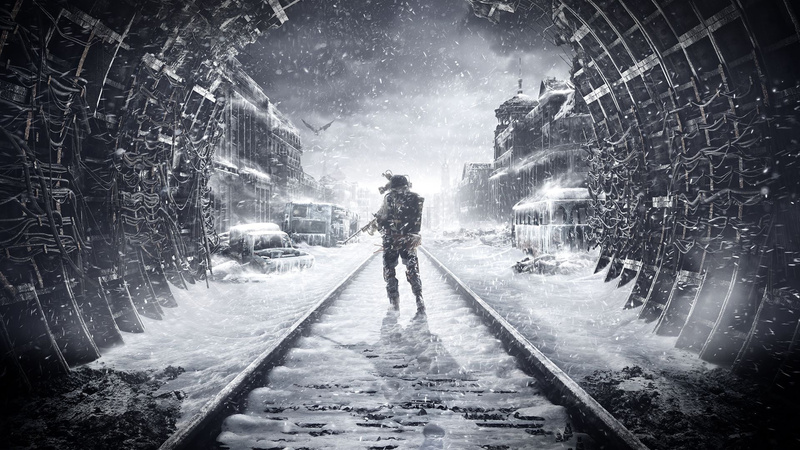 Are you intrigued by the idea of an open world Metro, or would you have preferred something a little more claustrophobic like previous instalments? Shoot giant mutated rabbits in the comments section below. This is one of my most anticipated games ever! 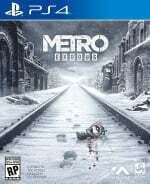 I really should try the other Metro games at some point. I really enjoyed the redux edition on PS4. They gave me almost a sense of half life 2. with the intense shootouts and managing your ammo throughout the fight.